Apologies to pure colalife-ers as this is a bit off topic. To everyone else these words are from a bystander who was privileged to have been able to watch, first-hand, the culmination of the G20 Summit. I am certainly not qualified to be a political blogger. But here are my thoughts anyway. 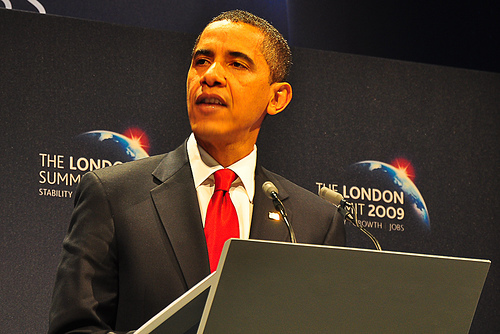 Having sat through Gordon Brown’s press conference at the G20 Summit yesterday, I decided (egged on by fellow G20 Voice Blogger, Nick Booth, it has to be said) I’d have a go at putting a question to Barack Obama. Well, if you don’t try . . . and I now knew how the system worked. Needless to say he didn’t pick me from the sea of hands. On reflection, dressed in my bright red ‘colalife.org’ sweat shirt, I stood out a bit too much and probably looked like a bit like a ‘shoe thrower’. Anyway, this was my question and it sums up what I felt about the communiqué that was produced at the end of the summit, which I have to confess I did not fully understand. Am I the only one who thought that parts of it begged more questions than provided answers? Would you describe the communiqué as being full of new thinking? Pretentious or what? But seriously, what I’d heard had been uninspiring and sounded very similar to the gobble-gook that got us where we find ourselves right now. If people don’t understand what is being done to them, or done in their name, how are they going to rally behind what is being proposed and give it a chance to succeed?